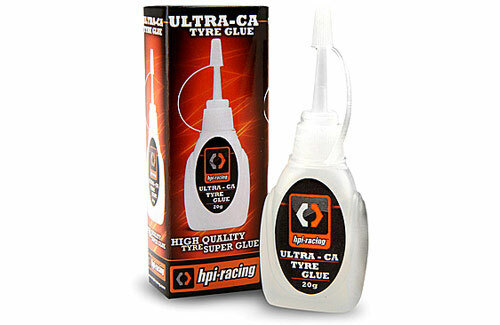 All Products > "101999 HPI Racing HPI Ultra-CA Tyre Glue (20g)"
Use HPI Ultra-CA Tyre Glue to secure tyres onto wheels of all types! HPI Ultra-CA Tyre Glue comes with a long nozzle for easy application in tight spots and a secure screw-tight cap for convenient storage. Our Ultra-CA glue is also suitable for emergency repairs on your RC kit!